Product prices and availability are accurate as of 2019-04-17 20:15:21 EDT and are subject to change. Any price and availability information displayed on http://www.amazon.com/ at the time of purchase will apply to the purchase of this product. 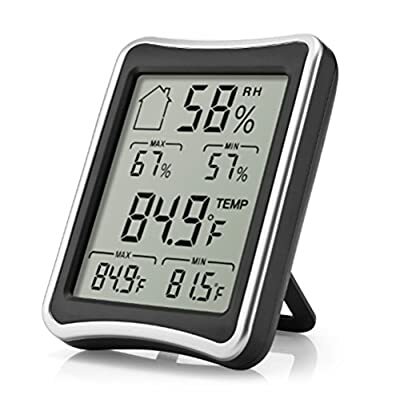 -This product makes it possible for us to know about and control the real-time surrounding environment's temperature and humidity. 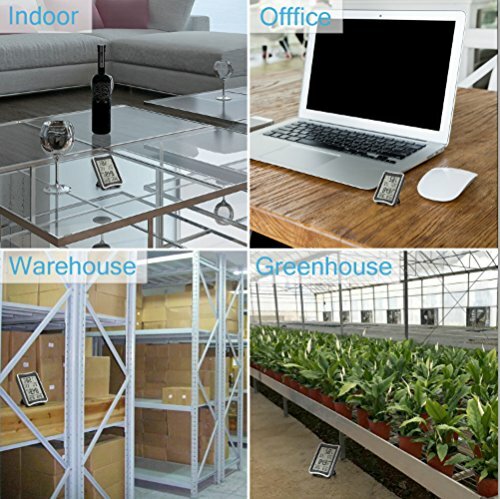 -It is of great help for our health to know about the real-time surrounding environment conditions. We can prevent colds, mold, bacteria and other viruses from threatening our health. 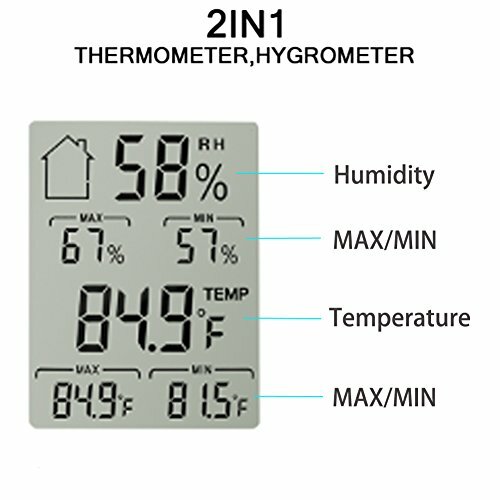 -The real-time understanding of temperature and humidity conditions also help us a lot in work. For example, we can prevent the warehouse humidity from too high in advance, protecting the warehouse articles from mildew . 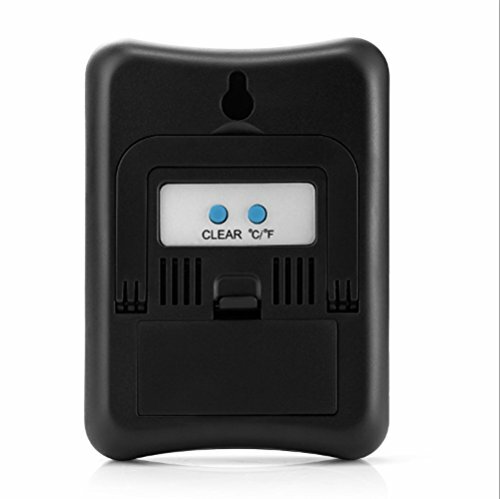 -In general, this product is simple, practical, convenient, price cheap, wide usage. It will be a great assistant of your work and life. 1, Replace the battery when the display dims, using 2 x AAA batteries. 2, Instrument performance may be affected if operated within a high frequency radio field, such as near a mobile phone, or if subjected to an electrostatic shock. 3, The product is not waterproof. ?Very Practical? 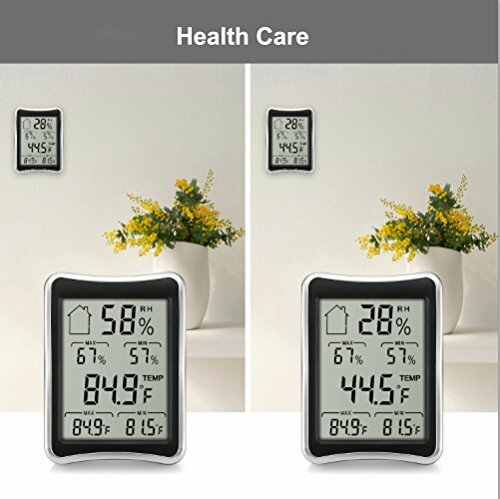 This product real-timely measure the temperature and humidity , and give out COMPORT, WET and DRY three environmental comfort levels according to the temperature and humidity conditions. ?High Accuracy?The measurement of the temperature accuracy can reach to ± 1 ? (± 2 ? ); humidity accuracy of ± 5%. High-precision measurements allows you to adjust your room temperature and humidity as needed to improve indoor environment comfort. ?Fast Update? This hygrothermograph's system set update once every 10 seconds. If the temperature or humidity changed within 10 seconds , the screen will be updated and we will know the change in time. ?Easy to Operate? There are only two buttons (CLEAR and ? / ?) on it's back, easy to operate. Small size, easy to carry. It is powered by two AAA batteries (not included),easy to be bought in your surrounding supermarket. 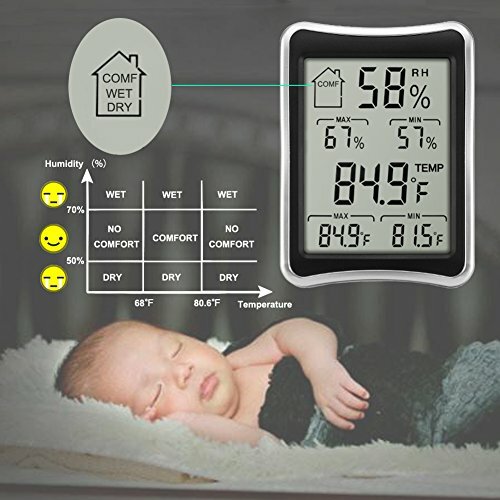 ?Use Widely?Real-time temperature and humidity give us great benefit and wide usage: baby room, warehouse, bedroom, living room, basement, car ,etc.